Editor’s note: Today we’re releasing the results of our study on article labels. We’ve published an account of our findings and a few recommendations on Poynter.org. The post below has slightly more detail on our methodology and a link to our data. To assess how well news organizations are labeling their articles, the Duke Reporters’ Lab examined articles from 49 publications. 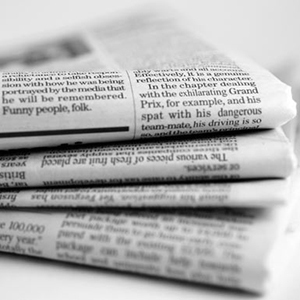 The study was prompted by the ongoing public debate about declining trust in the news media. Some journalists and educators have said one way to improve trust is for people to better understand the type of content they’re reading. Online journalism provides readers with access to thousands of news sources, but readers may not understand the type of article they’re reading. Our hypothesis was that many news organizations do not label article types to indicate whether they are news, analysis, opinion or a review. Students in the Lab analyzed 49 news organizations — 25 local newspapers and 24 national news and opinion websites. Students collected 25 articles from each organization — five articles from five different sections of the publication. For each piece of content, they note, among other things, if that article had a label, what the label said, if the label was clearly defined anywhere on the page and the size, location and color of the label. * Of the 49 organizations analyzed, the Reporters’ Lab found that only 20 of them — 40 percent — labeled article type at least once in at least one section of their website. * Of the 20 organizations that did label article types, 16 of them — 80 percent — only used labels in the opinion section. Those labels included editorial (used on 15 news sites), commentary (seven sites), column or columnist (six sites) and letters (seven sites). * Our students found none of the publications labeled content well across every section of the website. * Of the 29 organizations that did not label content, 13 of them were local newspapers and 16 were national organizations. * These 29 organizations often labeled the section of the website in which an article belonged such as sports or entertainment, but they did not specify the type of article being read. The raw data of our analysis can be viewed on this spreadsheet.